Yesterday, we found a basket on our fence. The third this week. It’s made of osier and hung by a metal hook. Inside, we could see apricots. And at times, cherries. Most of the fruits have been eaten already. Fresh, torn in halves, with their juices running on our fingers. Really, why mess with perfection? But we have still a few kilograms of apricots left. Golden plump jewels. I’ve made an upside-down apricot and camomile cake. It was all sorts of wonderful. A crumb loaded with camomile leaves. The juices of the apricots turning into compote with the heat. The recipe will be in the book of course, as most things that happen in my kitchen right now. Really I can’t wait to tell you more about all those words I write and all those cakes I bake. It should be all sorts of wonderful too! But in the meantime, I have a question or two. 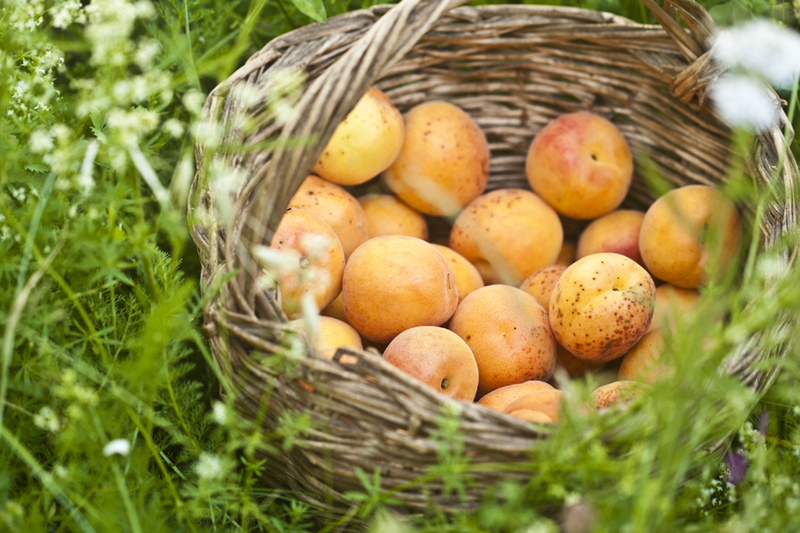 What are your favourite recipes with apricots? I have some gathered some notes already, in case you have more apricots that you can possibly eat (is there such thing?). – apricot crème crûlée tart. 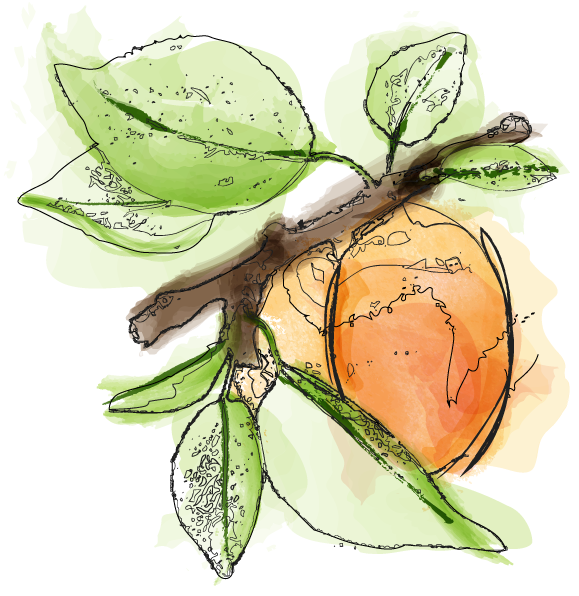 – baked apricots with limoncello, from the ever-gorgeous what katie ate. – apricot and chocolate baby clafoutis. – apricot tart with brown sugar and cinnamon pastry, from BBC goodfood. 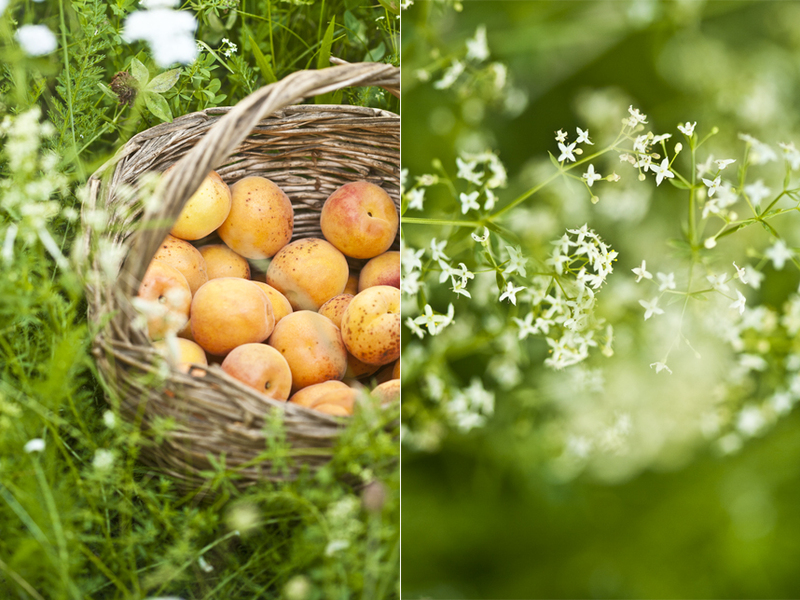 – grilled apricots with honey and olive oil, on Taylor’s beautiful blog. – apricot and matcha tiramisu, on – need I say more – my friend’s, Keiko, blog: nordljus which has been an absolute favourite for years. – and her roasted apricots with camomile too, a recipe I remember dreaming over six years ago now. – rosemary and apricot tarte tatin. This post has made me so hungry! Are the baskets gifts from a neighbour? How lovely. Your illustration is wonderful. Hi Kathleen, thank you so much for Lukie. We’re thrilled too. She’s doing great. The vet said he couldn’t believe how fast she got better. As for the basket, yes, they do come straight from the neighbours. It’s always a lovely surprise! Fanny your pictures are oh-so-lovely! A bit dreamy even. They make me want to be in your garden. And really, in your kitchen too!